Nine people have already choked to death in Japan this year after eating sticky New Year rice cakes. "The fire department is advising people, especially the elderly and infants, to cut mochi into small pieces before eating it." Sound advice from the fire services people, but why them? Is choking on food considered a fire hazard too? Furthermore, are mochis getting larger now, so that people are more likely to choke? Or don't people chew their food anymore? Nine people have choked to death in Japan after eating traditional glutinous “mochi” rice cakes to celebrate the New Year, an official and local media said. In Tokyo alone, 18 people were sent to hospital due to suffocation after eating the New Year delicacy, and three of them – all men – died, a fire department official said. The Yomiuri Shimbun newspaper said the death toll from rice cake accidents reached nine by Friday across the nation and 13 others were in a serious condition. At least 128 people were rushed to the hospital after choking last week, the paper said. During the New Year period, one of Japan’s biggest holidays, families traditionally cook “ozouni” soup and put the sticky rice cakes in the vegetable broth. 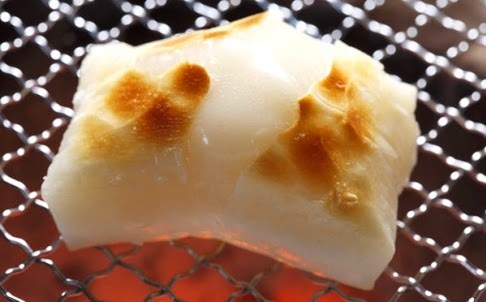 The fire department is advising people, especially the elderly and infants, to cut mochi into small pieces before eating it. Every year, several Japanese die after choking on rice cakes. In addition to the Tokyo deaths, three people died in Chiba prefecture, while one each died in Osaka, Aomori and Nagasaki prefectures, the Yomiuri reported. In the Nagasaki case, an 80-year-old-man choked on a mochi that was in sweet bean soup served for free at a Shinto shrine. Japanese customarily visit shrines and temples to welcome the new year, and mochi, sake and other treats are sold or given out.